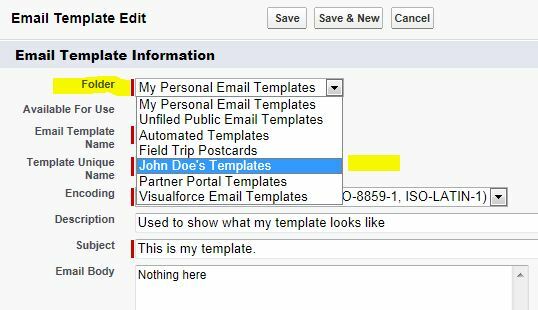 In the last blog post we described the steps (with screen shots) to check if you have anything in your “My Personal Reports” and “My Personal Dashboards” folders and how to make these Salesforce Personal Folders public. To check if you have personal email templates, click your name next to the “Help & Training” link at the top of any Salesforce page and then click “Setup”. In the tree on the left, select the triangle next to “Email” under the “Personal Setup” section (picture below) and then select “My Templates. 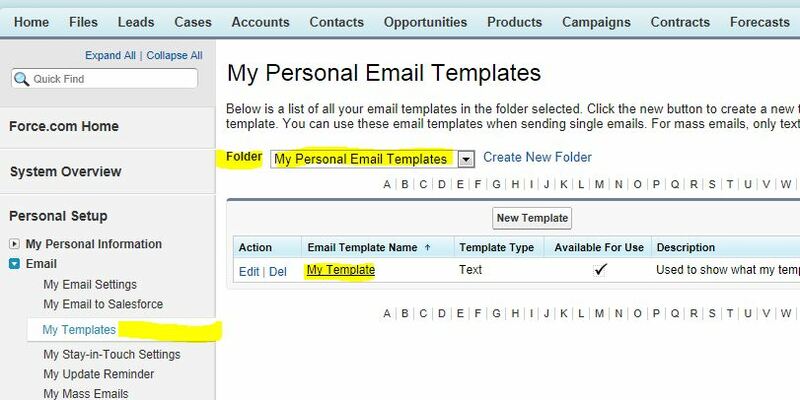 You will probably have access to multiple folders so use the “Folder” drop-down to select “My Personal Email Templates”. 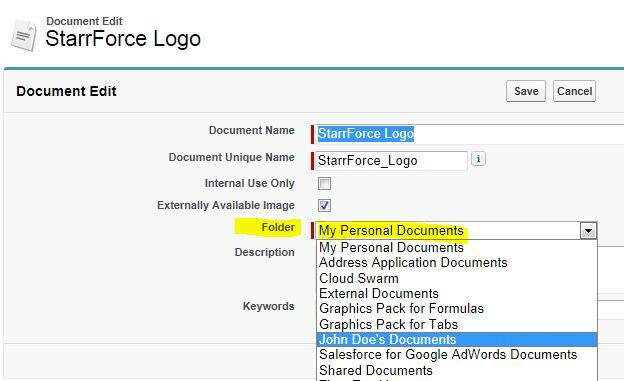 If you have any templates here, let your Salesforce system administrator know and they can create a folder you can move them to. Once your administrator has created the folder for you, follow the steps above and click the “Edit” link to the left of your template name. Then, select your folder from the “Folder” drop-down list and save the template. 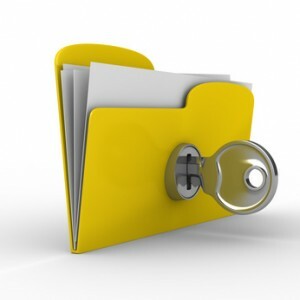 The picture below shows me saving into John Doe’s folder. You will need to repeat the steps for each template. If the Documents tab is not visible, use the + at the far right (in the picture above) to show a list of all tabs you have access to. Select the “Documents” link to access the main Tab. 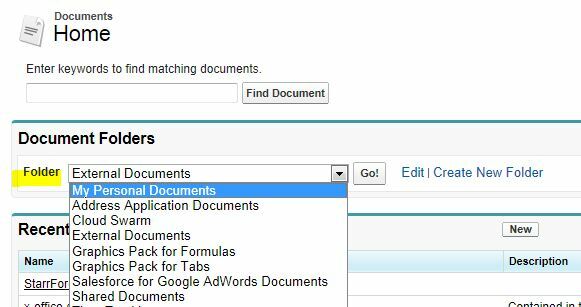 If you do not have a “Documents” link in the list, then you do not have any personal documents and can skip this section. Once in your folder, any documents will be listed. 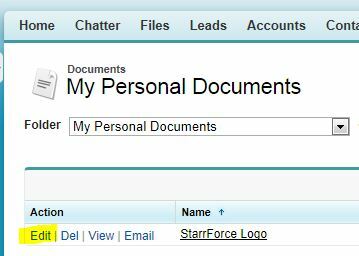 If you want to make them public, notify your Salesforce system administrator and they can create a folder for you. Once your folder is created, follow the steps above and then click the “Edit” link next to the first document (picture below). On the edit page, choose your folder from the “Folder” drop-down list and save the record. The picture below shows me saving to John Doe’s folder. Repeat for each document you want to make public.